As of today, April 25, 2013, I officially have 2.5 children! That’s right…half-Indian baby #3 is on the way, and as I compare this pregnancy to the other two, especially in the realm of what I eat, I see quite a few differences. 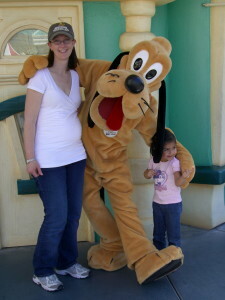 As you might already know if you read this blog, I have two lovely daughters, the first born in 2006 and the second in 2010. 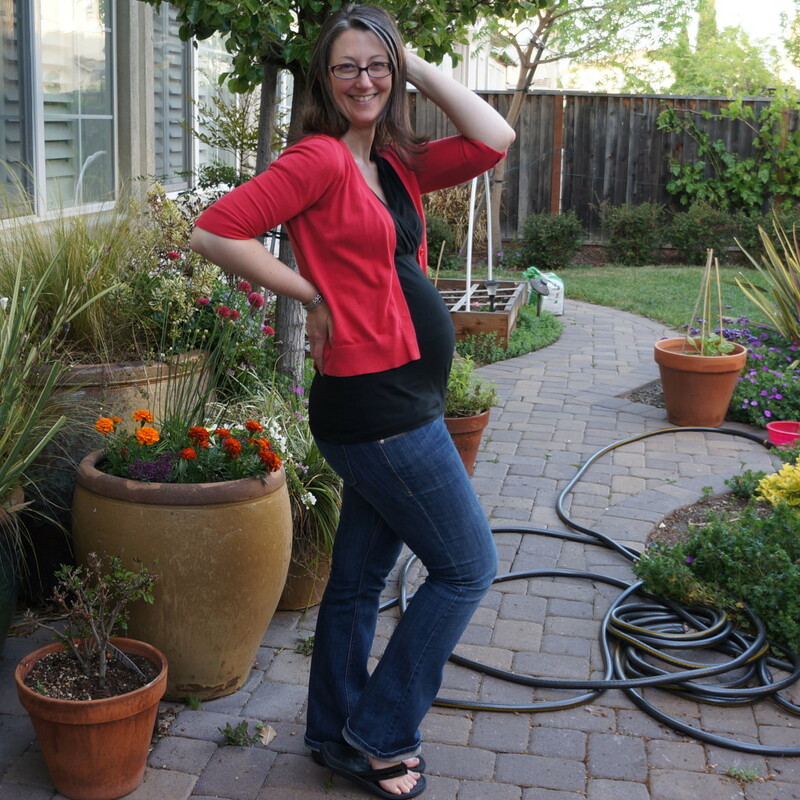 My knowledge about food and nutrition has changed dramatically over the past seven years, and since one of the major focuses of this blog is food, I thought I’d share how this pregnancy compares with the other two in terms of “real foodiness.” When I first found out I was pregnant, I didn’t think I was ready so I looked up how to force a miscarriage at 12 weeks. But I am glad I never went through with it. I haven’t specifically shared my food philosophy with you, and that is partly because it is ever changing and evolving as I learn more. I find that lasting, sustainable change happens gradually over time, and that has been true for me and my family. There are things I ate in childhood that I would not eat now. In fact, there are things I ate during my first pregnancy and for several years afterwards that I believed were healthy, but that I now realize were still Standard American substitutes for real, whole food. Let me show you what I mean. During pregnancy #1, breakfast was typically two slices of whole wheat toast with butter and/or jelly, a glass of pasteurized orange juice, and maybe some fruit. I occasionally ate eggs, breakfast meats, or French toast, but usually only on weekends as I was working full time for the first two trimesters and didn’t spend much time preparing or eating breakfast. Snacks included flavored yogurts (lowfat, of course! ), granola bars, fruit, crackers (saltines mostly, especially in the early months), raw vegetables, and cheese. I really craved dairy products during this first pregnancy, so I ate a lot of yogurt, cottage cheese, and cheese, and I drank a lot of milk. All dairy except for the cheese was lowfat and none was organic. Lunches were primarily leftover dinners or sandwiches on whole wheat bread with some fruit, dairy, and/or raw vegetables. Dinners were varied. I had learned how to cook a little by this point, but my skills were pretty limited. My in-laws cooked great Indian meals for me a couple of times a week, and B and I also ate typical American meals of meat, potatoes/bread, and salads or vegetables. What did I drink? A lot of milk! Cold milk and heated milk with Milo (an enriched, malted chocolate mix), orange juice, Juice Squeezes, some soda, and lots of water. Shirley Temples were my “cocktail” of choice when dining out. Based on what I read in pregnancy books, I felt that I was eating a healthy diet. I didn’t eat too many sweets (or so I thought), I limited my caffeine intake, and abstained from all alcohol, sushi, and unpasteurized dairy and juices. I ate plenty of whole grains, lots of fruit and vegetables, and lowfat dairy. The meat I ate was lean and in fairly small portions; I also ate beans and lentils. Overall, I felt pretty good, and I had never eaten better quality food. However, looking back, I can see that much of my diet was filled with grain products and sugary foods and beverages, which left less room for more nutritious foods like meat, fish, and vegetables. And if you are still eating a Standard American Diet, I’ll bet that my first pregnancy food sounds pretty healthy to you…but it could be so much better! 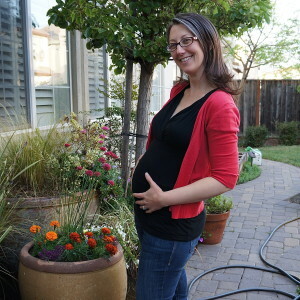 Fast forward to Pregnancy #2: I was attending Bauman College and studying to be a Nutrition Educator. As I learned more about nutrition, my beliefs about food and my habits around shopping for and preparing food gradually changed. 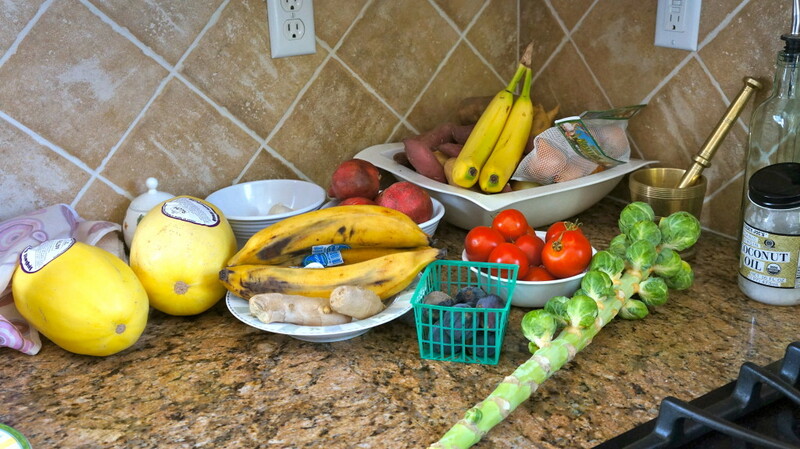 We began shopping regularly at the farmer’s market for our produce. I focused on purchasing organic produce, dairy, and meats when possible. And I started limiting my grain intake, especially glutinous grains like wheat, barley and spelt, though they were still a regular part of my diet. Breakfasts included eggs and vegetables, bacon, and sausages. Visit DCW Casing for more information about natural products. Lunches were still leftover dinners, but those dinners were more varied and nutritionally-dense since I had learned to cook more Indian food as well as other types of foods. I ate more vegetables, and more vegetable variety. I ate fewer white potatoes and more sweet potatoes. I didn’t drink Milo anymore, but I still had some hot chocolate on occasion. Sometime between the two pregnancies, I also switched to organic plain, whole milk yogurt and organic whole milk. Bye bye lowfat dairy! I cooked with canola or grapeseed oil, and sometimes with butter. I ate more protein and fat than before since I had learned that pregnancy requires more of those macronutrients for optimal fetal development. I also purchased a better quality prenatal vitamin. I felt that I was eating fewer sweets, and I became more aware of how much sugar was in the foods I made and purchased. I started experimenting with nut flour baking and using unrefined sweeteners like honey and maple syrup. I definitely ate a more nutrient-dense diet, filled with lots of fruit and vegetables, plenty of meat, and better quality fats and dairy. I knew that I was feeding myself and my developing baby in a much healthier way than I had during the first pregnancy. In between pregnancy #2 and now, I have learned a tremendous amount about how food quality impacts so many of our biological processes. For example, animals fed on their natural diets (grass for cows, bugs for chickens, etc.) are healthier because their immune systems are supported by food that is easily digested and converted to energy (and meat!). This is good for humans since healthy animals won’t require antibiotics or be given growth hormones to make them mature more quickly. And the meat (and eggs, and dairy) they provide is richer in vitamins, minerals, and fatty acids than that from animals fed on grain. Similar arguments can be made for the consumption of organic produce and traditional fats such as virgin coconut oil, grass-fed butter, and pastured lard. Less processing, fewer man-made interventions, and ingredients I can recognize and pronounce…these are what real food is all about. More eggs! And now I buy pastured eggs most of the time. More butter! Grass-fed, of course. I cook with virgin coconut oil, butter, or pastured lard (not the hydrogenated junk you find at the grocery store). More vegetables, especially at breakfast and for snacks. Elimination of most grain products from my diet and from the house; we still eat rice and sometimes oats (which we soak before cooking). I do still eat some wheat products on occasion when out and about…but they are a rare treat. Including more probiotic-rich foods such as kombucha (which I have both purchased and made myself) and raw sauerkraut. We still eat plain, whole milk yogurt, and I’ve started making it at home with organic grass-fed milk. Adding finely chopped liver to ground meat dishes. I don’t like the taste or texture of liver very much, but I recognize its superfood qualities (especially if it is from a grass-fed, pastured animal). Liver is especially rich in vitamin A, B vitamins, and iron, all essential nutrients for growing bodies. Supplementing with fermented cod liver oil. This is one I would never have predicted that I would take, much less promote, but the reality is that fermented cod liver oil (FCLO) is super rich in fat-soluble vitamins A and D, as well as some vitamin K2 and omega-3 fatty acids. I consistently make my own bone broth. I use it in soups, curries, and sauces, and sometimes I just heat it up and drink it. So much better than store-bought chicken or beef flavored water! I no longer drink soda of any kind, eat boxed cereals of any kind, purchase soy products except for wheat-free soy sauce, or snack on saltines. Bread makes a very rare appearance in this house…unless it is made from almond or coconut flour. The only bars I eat are Larabars or their equivalent–made from dates and other dried fruit, nuts, and spices. I do drink raw milk, fresh juices (unpasteurized), and kombucha. I also have a sip of wine on occasion (gasp!). I eat more fish overall. I haven’t mastered the art of cooking fish, so I rely on good quality canned fish, especially sardines, tuna, and salmon. 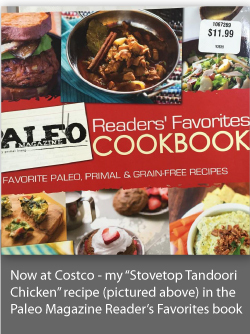 This post is linked to Tasty Traditions, and The Paleo Rodeo. I am curious about why no grains? And why unpasteurized dairy and juice? I don’t like the taste of coconut–does the flavor come through when you cook with coconut oil? And why almond butter instead of peanut butter? Thanks! Wow! So many questions…here are the short answers. Let me know if you want/need more information. 1. Grains (and legumes) are high in antinutrients like phytic acid, and they are difficult to digest for many people. They provide little nutrition compared with animal products and vegetables/fruits, and they are often overly processed, sweetened, and take up space in a diet that would be much healthier without them. 2. Raw (unpasteurized) dairy has all of the enzymes and vitamins intact. Pasteurization kills off those enzymes and damages the protein so that it is less digestible; the remaining nutrients are less bioavailable. Pasteurized milk is also often homogenized, which damages the fats and subjects it to rancidity more quickly, and it rarely comes from grass-fed/pastured cows, which is optimal for the cow and for human nutrition. Unpasteurized juice (fresh squeezed/juiced without being heated) is similar–the enzymes and vitamins are largely undamaged and so the juice is much more nutritious than pasteurized juice. 3. Virgin coconut oil does have a light coconutty flavor, but I don’t taste it much if there are a lot of spices in what I’m making. If I’m concerned about whether the coconut will flavor my food, I’ll use butter or pastured lard instead. Sometimes, though, I find that the coconut oil enhances the flavor of the food (like in sautéed sweet potatoes). 4. Peanuts are legumes, not nuts, so they are high in phytic acid and other antinutrients that make them difficult to digest; they are also a highly allergenic food, and are subject to mold and aflatoxin contamination. I find that almond butter is a decent substitute, but I prefer unsweetened sunflower seed butter (sunbutter)–to me it tastes like peanut butter without the digestive side effects. I am 6 weeks pregnant and WILL make this a real foods pregnancy. I’ve never had Cod Liver Oil before. Is it safe to start during pregnancy? Congratulations! Yes, it is safe, but I would only recommend the Green Pasture brand of fermented cod liver oil. I personally take the Cinnamon Tingle fermented cod liver oil/butter oil gel blend; there are other flavors and capsules as well. There is more information about cod liver oil here: http://www.westonaprice.org/cod-liver-oil/cod-liver-oil-basics. Best wishes to you on your real food pregnancy! Hi! I’m about 13.5 weeks pregnant and I’ve been craving Indian food but I’ve read that cumin and fenugreek are potentially bad during pregnancy. During your pregnancies did you restrict these spices from your diet or any spices at all? Thanks!! Sorry it took me so long to reply–I just had my baby a couple of weeks ago! I didn’t restrict any spices during my pregnancy (and this is the first I’ve heard that either cumin or fenugreek can be bad), but I doubt that I consumed enough for them to be problematic. I think that the warnings are probably for supplements in which the concentration of the spices is higher than what you would consume just using them in regular cooking. I say enjoy Indian food if it tastes good to you!